NEW Zealander Hayden Paddon will mark the first drive of his new contract with Hyundai Motorsport by taking the place of an injured Dan Sordo at next weekend’s Rally Sweden. 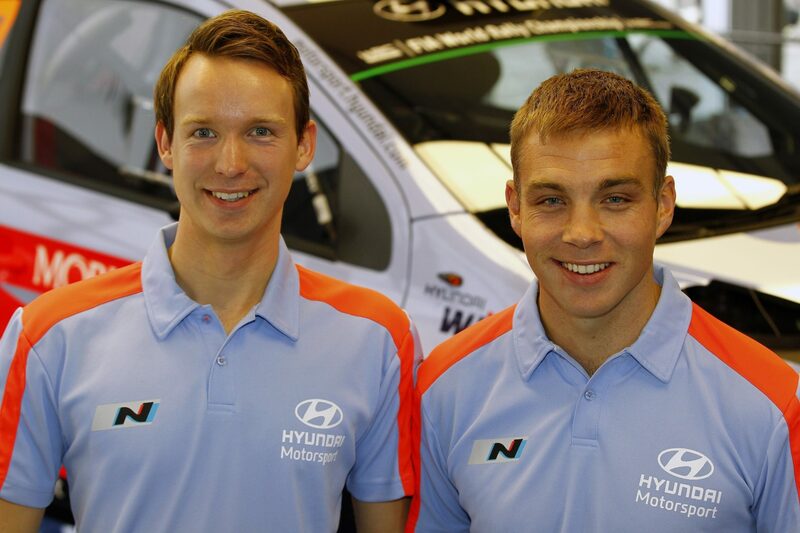 Paddon and co-diver John Kennard were to have driven the sole Hyundai Mobis World Rally Team Hyundai i20 car, but will now take over Sordo’s 8# Hyundai Shell WRT entry, alongside Thierry Neuville. Dutchman Kevin Abbring, Hyundai’s new test driver, will have his first competitive outing unexpectedly early in Paddon’s vacated seat. Sordo fell of his mountain bike and broke two ribs while training at home in Spain. It is expected he will be fit to return for round three of the FIA World Rally Championship, Rally Mexico, on ??. Hyundai has confirmed Abbring for a minimum four rounds in its second-string Hyundai Mobis WRT alongside Paddon, who will tackle all 12 remaining events.